NorthStarr’s Notes: Awareness Videos bring light to a particular cause, challenge, issue etc. 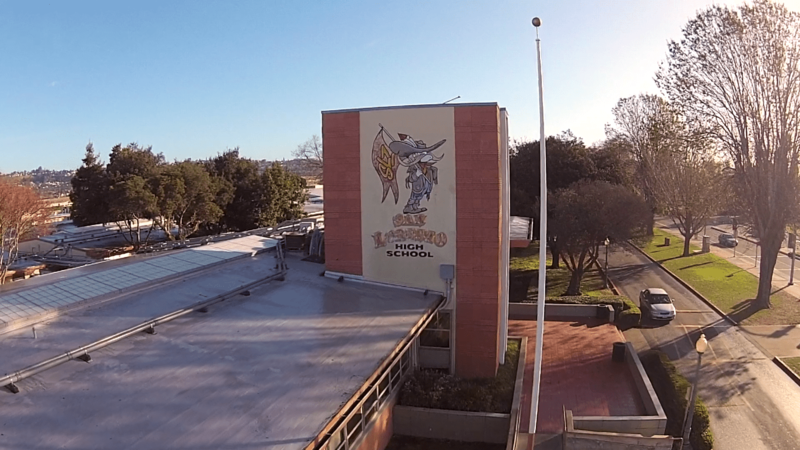 In the case of San Lorenzo High School, for years there has been controversy surrounding their mascot “The Rebel Guy”. Many find this image to be offensive. Thus, the onus was on Principal Scruggs to make sure that all of her students and faculty etc. felt comfortable from an image representation standpoint. The idea was to educate people on the history of the racism that the mascot was rooted in. Over 20 years ago it was changed from the “Colonel Rebel” who’s image was a blatant slave plantation owner to the “Rebel Guy”. His design wasn’t as overt but had too much of a reminiscent of “Colonel Rebel” for many to digest. The approach was to explain the importance of having the diverse student body and staff feel comfortable. There was also a distinction made that only the mascot itself should be changed but not the name “Rebels.” Another goal was to inform the community, stakeholders, school board members, and students about the current Califonia law SB 539 that bans the use of confederate names on schools and public buildings. A section of the video was devoted to tracking the history of the school and its connection to racist imagery. The yearbooks harbored a large portion of the proof that in the past there was a lineage to racism and confederacy. Thus, this was the supporting evidence as to why people found this mascot to be problematic. The video brings awareness to these problems so much so that the topic was in heavy rotation on the news. It’s evident that it was sparked by the video because large portions of the video were used to make up the various new stories. There are various topics that an “Awareness Video” can be used for. In this case, it was used to educate, inform and bring about a change. The key is to understand what your ultimate goals are as it pertains to the video. Stylistically any approach can be taken that the director and or producer sees fit. This video is voice over heavy with still pictures and video images that displayed what’s being spoken about. As long as you are clear and concise with your key points and get the video in front of your target audience the video can be effective. If you have any questions leave a comment or email us at info@northstarrmedia.com. Thank you for reading our notes!